A new person is in charge at the Salina Public Library. According to the library’s board of directors Melanie Hedgespeth is the new director. She began her duties on March 19 after serving as interim director since December. 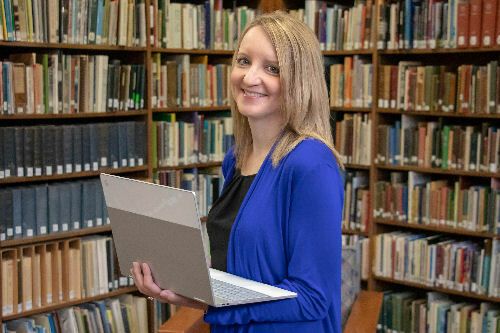 “Melanie brings years of experience in management and library work to the role of director, and she is familiar with the Salina community,” Brendan Burke, the board’s vice president, said. “Her attention to detail and passion for providing resources for the community make her an excellent choice to lead the library,” Board President Mary V. Lemon added. Prior to taking on the interim role, Hedgespeth was the head of the library’s Technology Department for 14 years. Her responsibilities included supervising Technology Center staff, overseeing networking, technology education, web development, budgeting, and maintaining and updating library technology. During this time, she was integral to the transition from tracking materials with bar codes to using an RFID system; starting the Summer Learning program that now has over 3,000 participants; integrating a new Chromebox catalog-access kiosk system; handling E-rate funding; and designing technology plans for quality of service and replacement cycles. Hedgespeth has a Master of Science in information technology from Kansas State University and a bachelor’s in business and computer education from Sterling College.